In New York City, ordering food is a pretty common thing. Even though I love to cook, I also really love craving something like zucchini fries or basil fried rice or blackened salmon, clicking a few buttons online, and having that very specific thing arrive 20-40 minutes later. 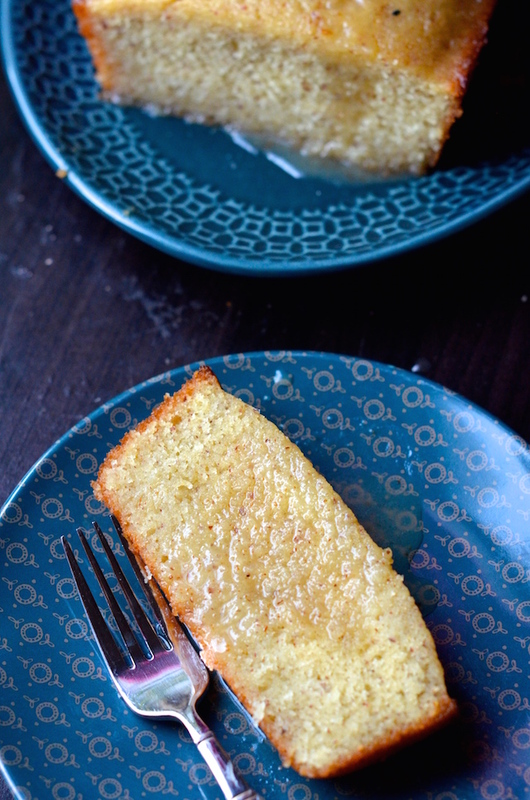 One of my favorite things to order for delivery is a delicious Syrup-Soaked Semolina Cake from a middle eastern restaurant in our neighborhood. The truth is, it's unfortunately not a great restaurant. The rest of their dishes are executed with a pretty obvious lack of care and skill, but that cake is killer. 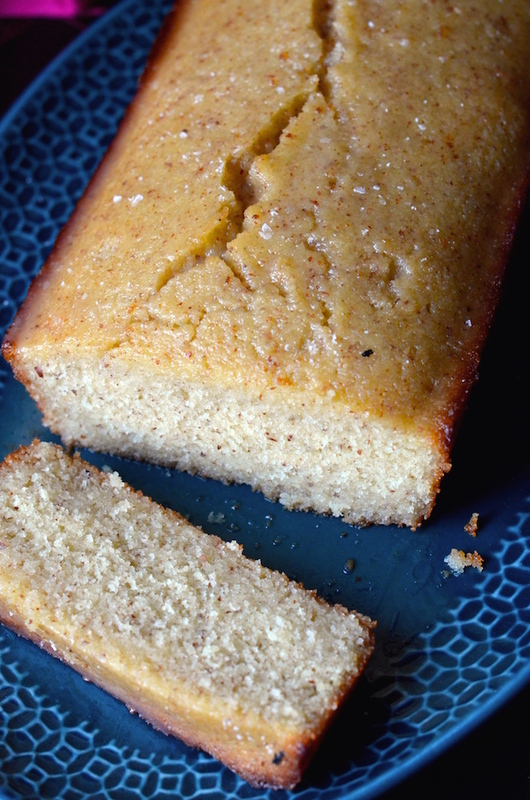 Made from a slightly crumbly combination of semolina flour and ground almonds, the cake is delicate and nutty--almost reminiscent of a great sweet cornbread. The best part is the syrup. 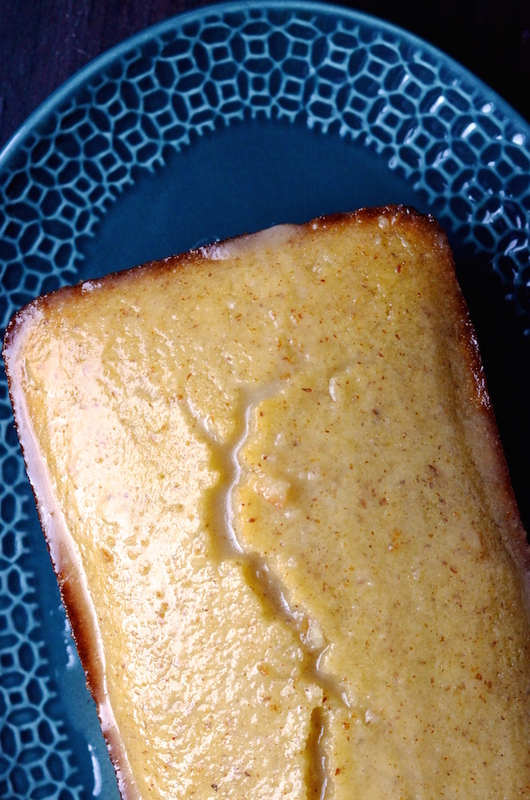 The cake arrives soaked in an ambrosial honey and orange-blossom syrup that invades each crumbly bite and seriously makes me swoon. I did once order 5 pieces of cake in order to meet the $10 delivery minimum, but that was kind of ridiculous, and not one of my prouder moments since I just spent that whole night in a cake coma. Learning how to make the cake at home was a much better move, and this version comes pretty close to the one made by that restaurant. Please note that like with most traditional desserts, there are dozens of variations of semolina cake from many countries throughout the Mediterranean and North Africa. Some are made with ricotta cheese or yogurt, others without the nuts, and the syrups vary in flavor, too. This is just one way to do it, and I hope you enjoy it as much as I do. Preheat oven to 350 degrees. Grease a 9x5” loaf pan with baking spray and line with parchment paper so that it overhangs on the sides. Whisk together the semolina, almond meal, sugar, baking powder, and salt. Add the melted butter, beaten eggs, coconut milk, and extracts, and stir well until evenly combined. Pour into the prepared baking pan and let rest 10 minutes before baking for 25 -35 minutes or until dark around the edges and slightly cracked on top. Remove from baking pan and let cool on a rack. While the cake bakes, prepare the syrup. Combine the water, sugar, honey, butter, and salt in a medium saucepan and bring to a boil. Reduce heat and let simmer 10 minutes, or until reduced by a quarter. Remove from heat and let cool to room temperature. Place the cooled cake in a shallow baking pan and pour all the syrup over the top and sides. Leave the cake to absorb the syrup, occasionally spooning some from the pan over the cake (like basting a turkey!) until it is nearly all absorbed.